As reports indicated earlier this week, new Bills GM Brandon Beane will indeed have control over the 53-man roster. Terry Pegula confirmed as much Friday. “Brandon’s gonna have the 53,” the owner said, via Michael David Smith of Pro Football Talk. “Him and Sean (McDermott) will obviously collaborate on any decisions.” The 39-year-old first-time GM, though, plans to work extensively alongside McDermott, with whom he obviously functioned alongside with the Panthers. Beane and McDermott have worked together since 2011, save for a near-four-month period when McDermott took the Bills job and Beane stayed in Charlotte. The former Panthers assistant GM will still have the final say, even though the new Bills HC arrived in Buffalo first. Here’s more from Buffalo and the latest from around the league. A slew of Bills free agency moves shouldn’t be expected, Beane said today, per Joe Buscaglia of WKBW (on Twitter). In a statement not exactly contrary to most new GMs’ philosophies, Beane plans to build the Bills through the draft (Twitter link, via Buscaglia). The Lions announced a handful of new titles in their front office following Brian Xanders‘ departure. Among them: Kyle O’Brien now has the title of Vice President of Player Personnel and Lance Newmark is now Director of Player Personnel (Twitter link via Michael Rothstein of ESPN.com). Doug Pederson isn’t worried about a potential holdout from Brandon Graham, the Eagles coach said today, per Eliot Shorr-Parks of NJ.com (on Twitter). A report earlier this week linked the burgeoning-star edge defender to a holdout. Graham is signed to a four-year deal worth $26.5MM. He’s set to carry cap numbers of $7.5MM apiece in 2017 and ’18. The 29-year-old ranked as the No. 2 overall edge defender in the opinion of Pro Football Focus last season. Among 4-3 defensive ends, Graham’s deal places him just 16th in terms of average annual value. Less accomplished teammate Vinny Curry is making nearly $3MM per year more than Graham due to his 2016 extension. The Saints invited some familiar names to their rookie minicamp/tryout venue today. 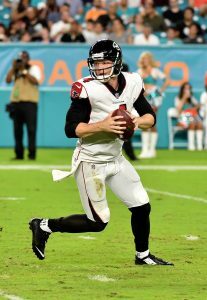 Former Jets, Bills and Falcons passer Matt Simms received an invite, as did former Raiders and Buccaneers wideout Louis Murphy and veteran tight end Clay Harbor (all Twitter links via Nick Underhill of The Advocate). Murphy spent the past two seasons with the Bucs but saw injuries limit him to just six games. 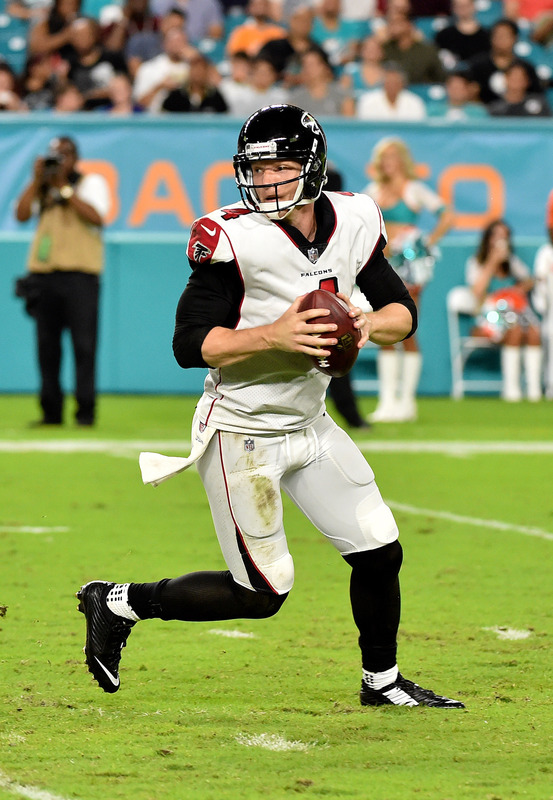 The Falcons waived a number of players yesterday in anticipation of the roster deadline, and they’ve continued to cut players today. The Bills signed quarterback Josh Johnson earlier today for depth purposes, but before they did, they looked into re-signing Matt Simms, who was with the team in camp, says Vic Carucci of the Buffalo News (Twitter links). Simms, who knows the Bills’ playbook, would’ve been Buffalo’s preferred option, but he’s currently on the Falcons’ practice squad and thinks he has a better future in Atlanta, so he turned down the opportunity, says Carucci. Why did the Bills need another quarterback in the first place? Carucci (Twitter link) hears that Tyrod Taylor is “hurt pretty bad,” noting that the team considered the passport status of potential QB additions, in advance of a Week 7 trip to London. According to Jason La Canfora of CBSSports.com (Twitter link), Taylor could miss multiple games due to a sprained MCL, which figures to open the door for EJ Manuel to start. As the Bills wonder whether they should have kept Matt Cassel, let’s check in on several other items from out of the NFL’s East divisions…. Doctors treating Giants tight end Daniel Fells for his MRSA infection are increasinly more optimistic that Fells won’t lose his foot, sources tell Dan Graziano of ESPN.com. Fells remains hospitalized, and multiple reports have indicated that his NFL career is likely over, but it sounds as if a combination of surgical procedures and antibiotics have improved his outlook over the last few days. The Jets almost certainly won’t be able to extend both Muhammad Wilkerson and Sheldon Richardson, and “every indication” is that the team would prefer to lock up Richardson if he stays out of further trouble, according to Manish Mehta of the New York Daily News. Multiple people around the NFL that have spoken to Jason Cole of Bleacher Report (video link) suspect the Dolphins will pursue a high-profile head coach for the permanent job after the season. Cole identifies Mike Shanahan as one notable potential target for Miami. Former 49ers and Dolphins running back LaMichael James – who now goes by LaMike James – is working out on Wednesday for the Cowboys, tweets Ross Jones of FOX Sports.